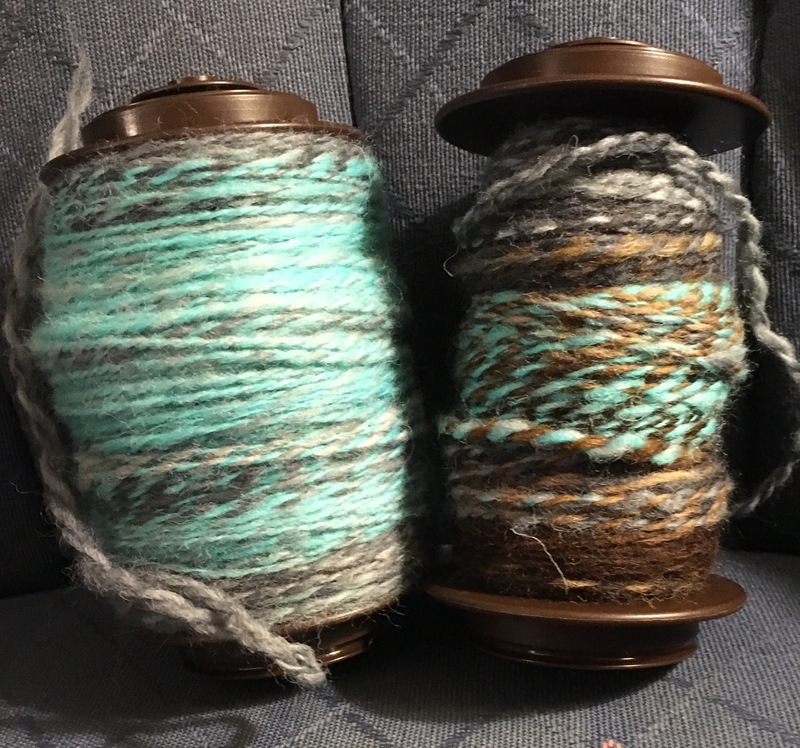 Spinzilla 2017 ended on October 8th, and although I didn’t quite match my yardage from Spinzilla 2015, I did pretty damn well this year. 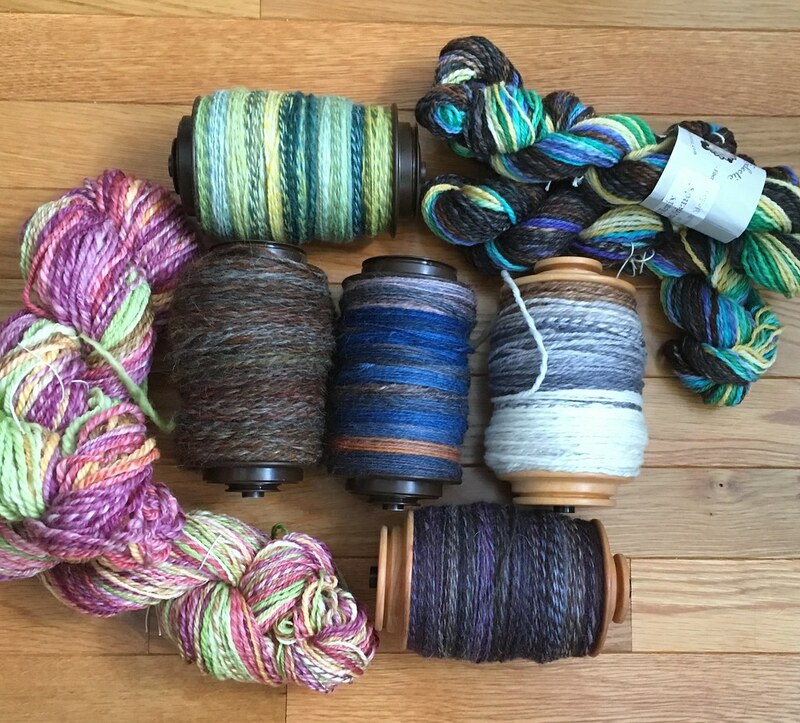 All the yarn was spun from Sweet Georgia fiber club selections. 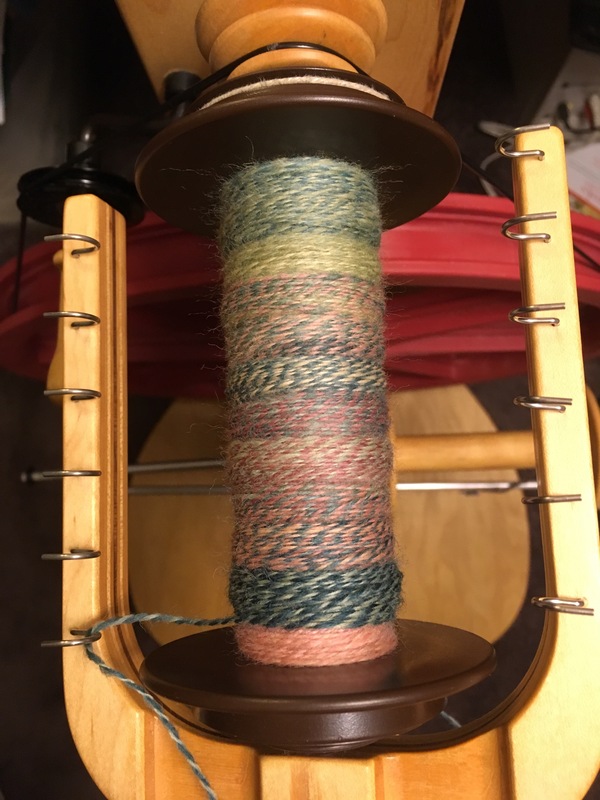 I spun and plied it all on my Schacht Flatiron except for one skein that was spun on the Flatiron but plied on my Schacht Ladybug. 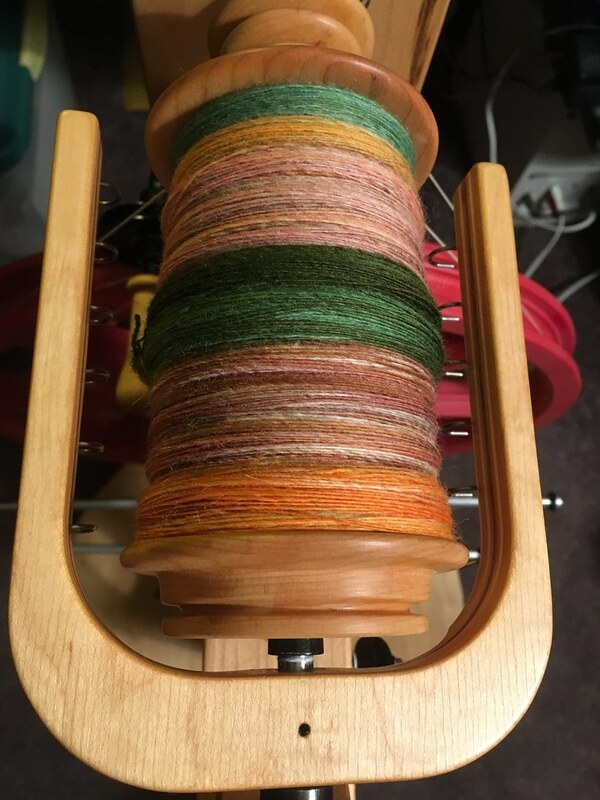 The Sweet Georgia Spinzilla team was great. 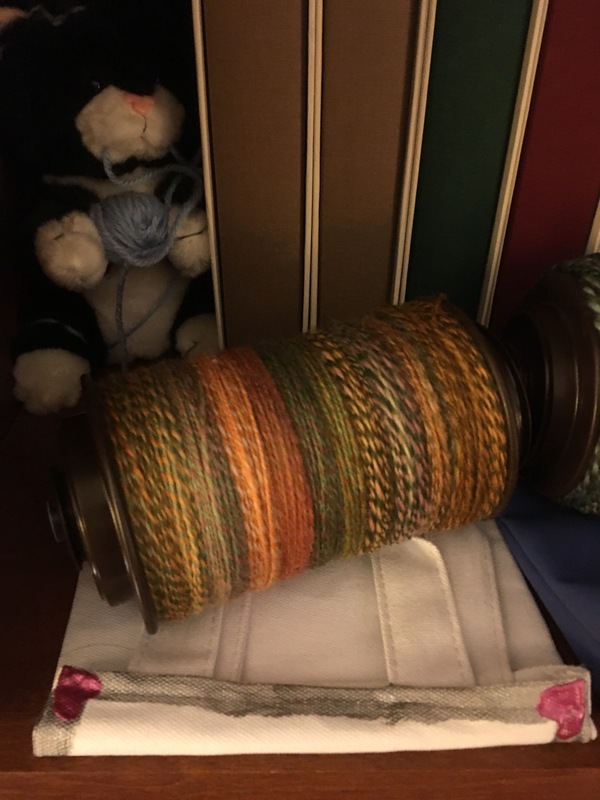 The moderator ran the Ravelry Group and team to perfection. She was supportive and kind, as were all the team members. And as if it wasn’t enough that we all got to be part of such a great team, Sweet Georgia (aka Felicia Lo) sent me this to thank me for being on the team. 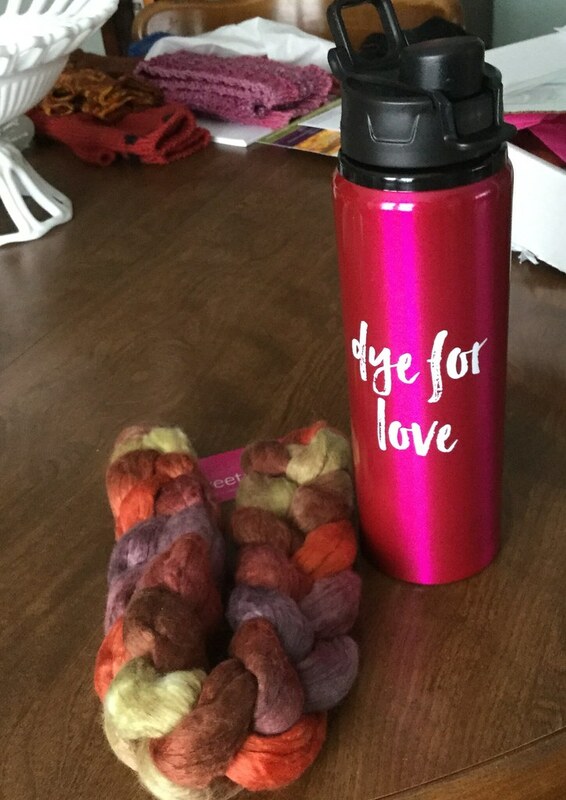 Yes, that’s a braid of fiber and a water bottle. There is also a card included with a coupon code. The other side of the water bottle. I love that it’s in Sweet Georgia’s signature color, hot pink. 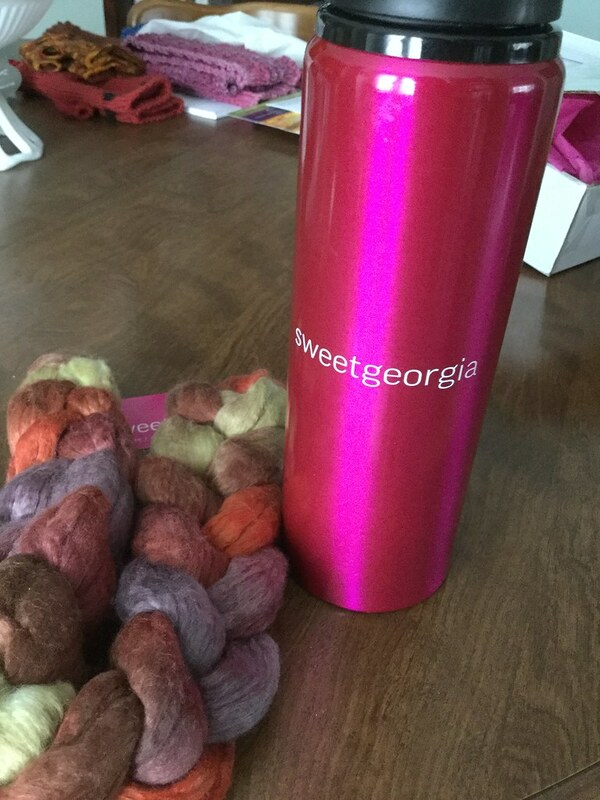 Really, I should be thanking her (and did thank her) for welcoming me to the Sweet Georgia team. 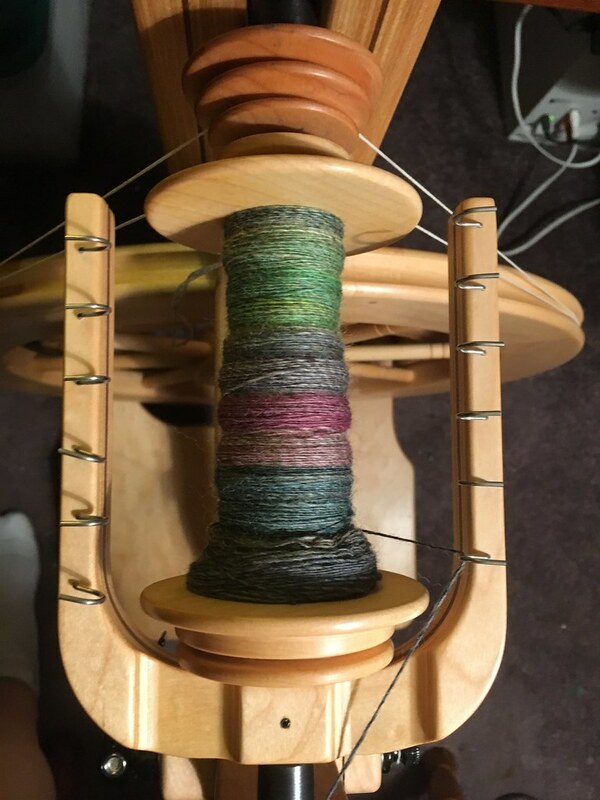 It was an honor and a privilege to represent Sweet Georgia Yarns during Spinzilla. 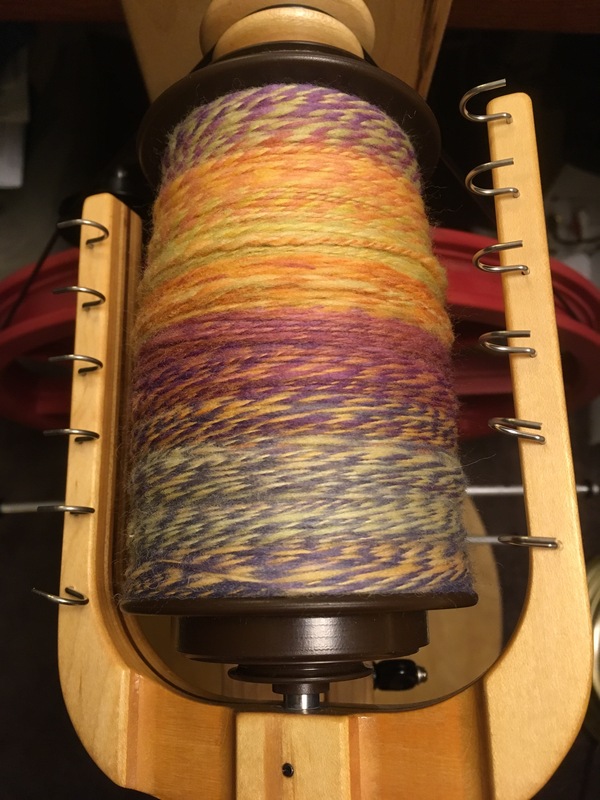 I don’t think I’ll be doing Spinzilla again. It’s just a little too intense for me. But I don’t regret participating this year. 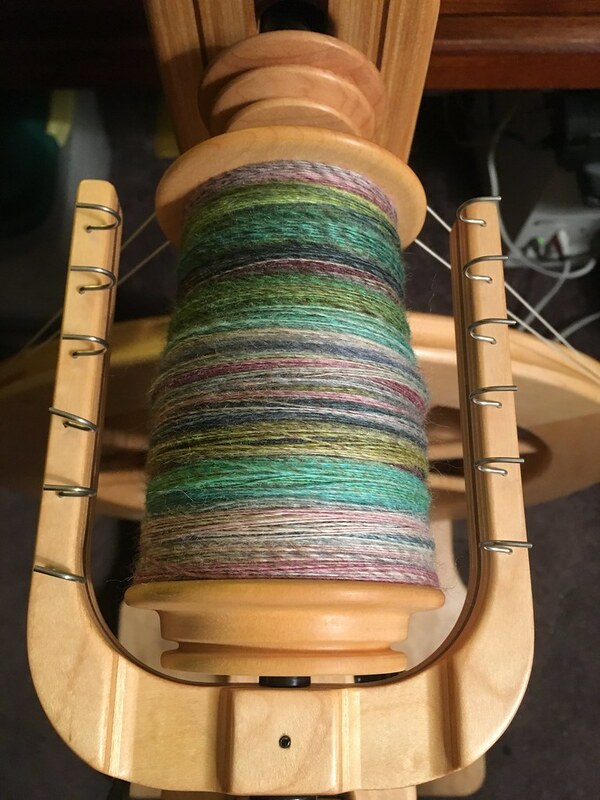 I will soon have some knitting to share with yinz, but until then, here’s some spinning for your viewing pleasure. 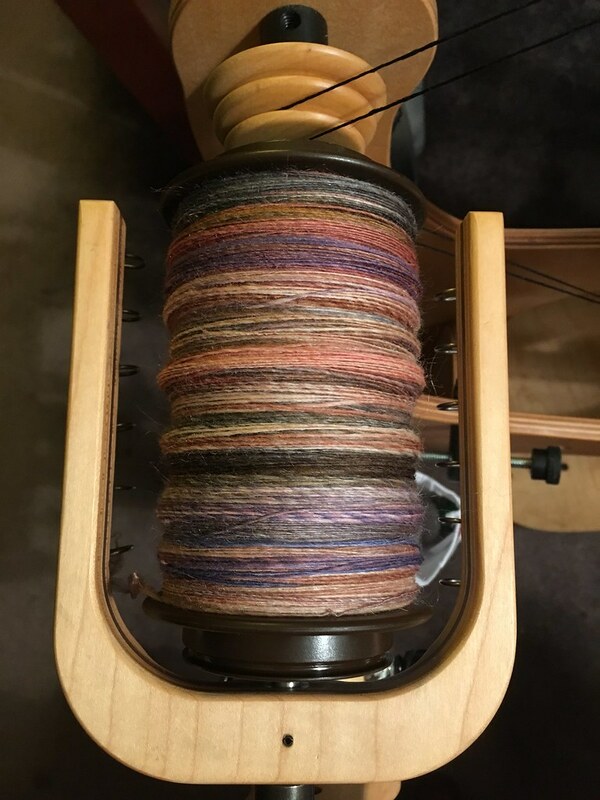 Spunky Eclectic Carpe Diem on Farmer’s Woolpool Sheepswool from the March 2017 Spunky Club. 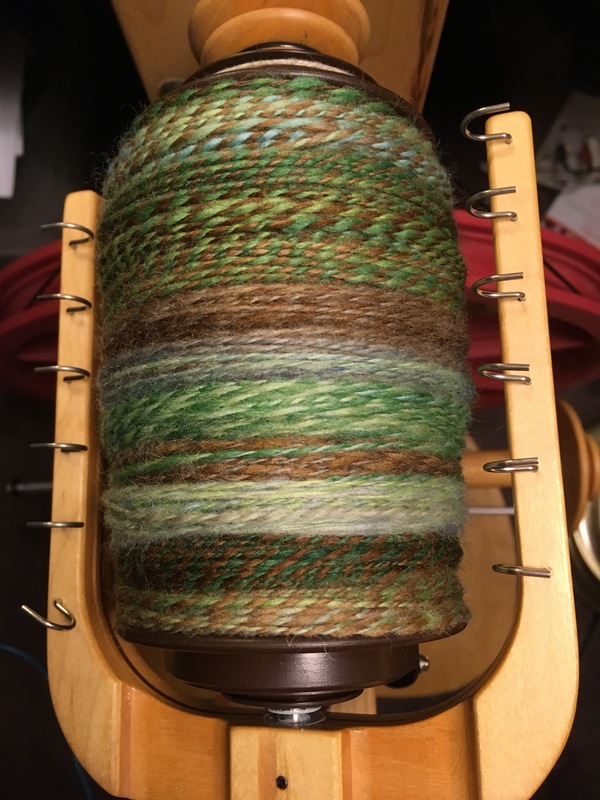 It’s a 2-ply that I spun on my Ashford Traveller and plied on my Schacht Ladybug. Spunky Eclectic TACO on Polwarth from the November 2017 Spunky Club. 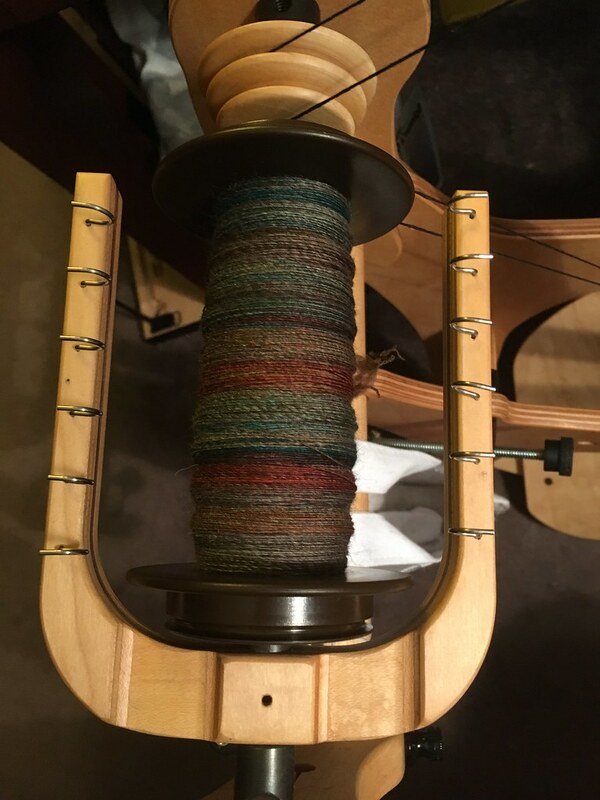 This is another 2-ply that I spun on my Schacht Flatiron and plied on my Ladybug. 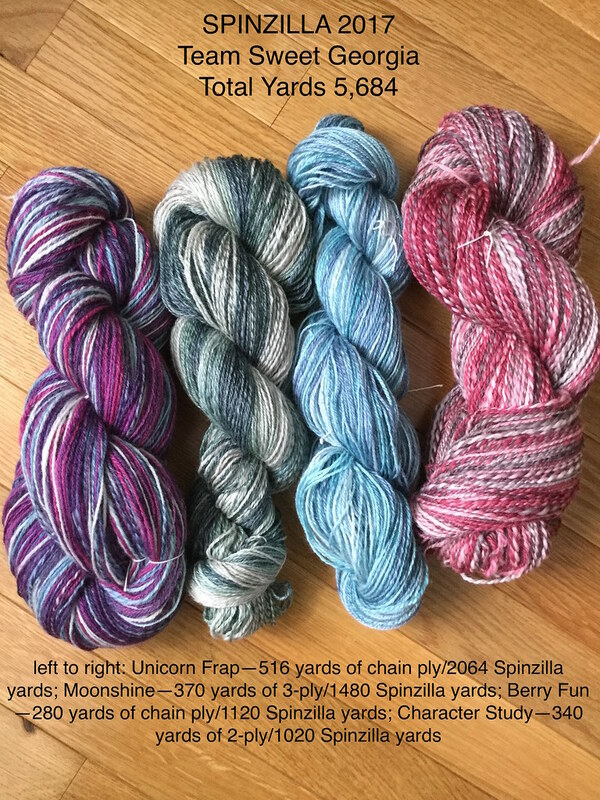 Last but not least is another Spunky fiber, from the June 2017 Spunky Club in the color way Cold Feet on Cheviot. Mmmmm. Cheviot. 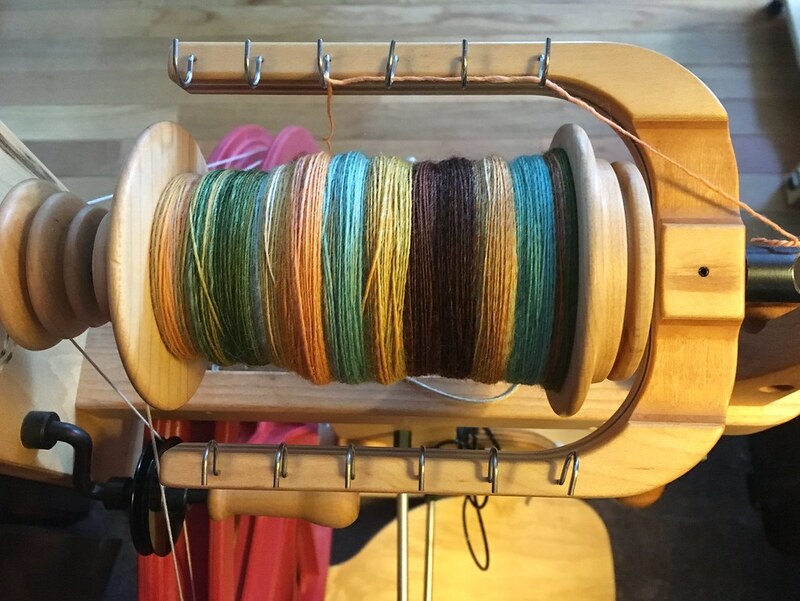 I am spinning it on the Flatiron and I hope to end up with a 2-ply sock yarn. 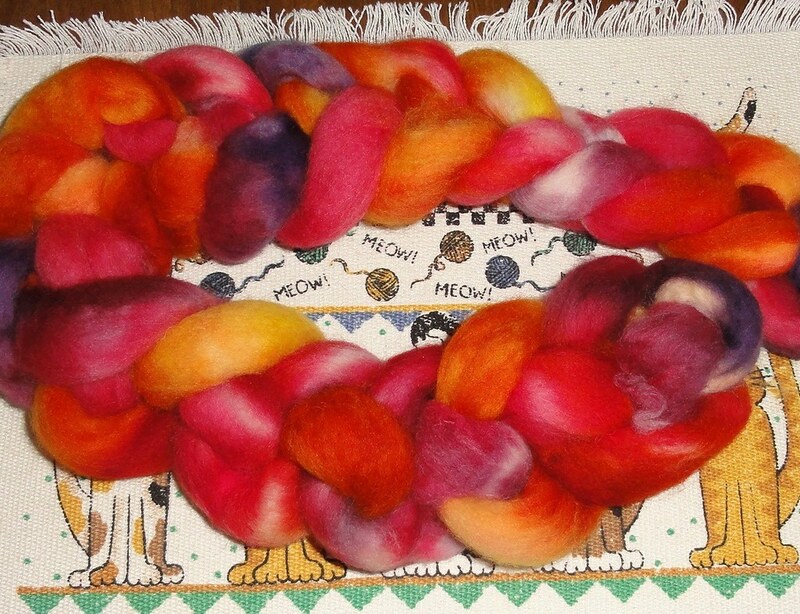 Tomorrow is the final day of the Tour de Fleece and all I have left to do is wind my final project off the bobbin. 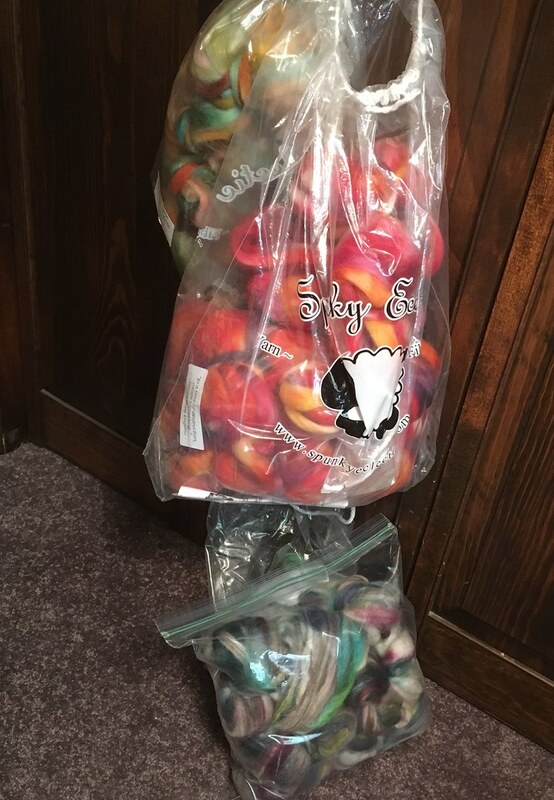 Of course, all the yarn I made during the Tour still needs to be washed and measured. 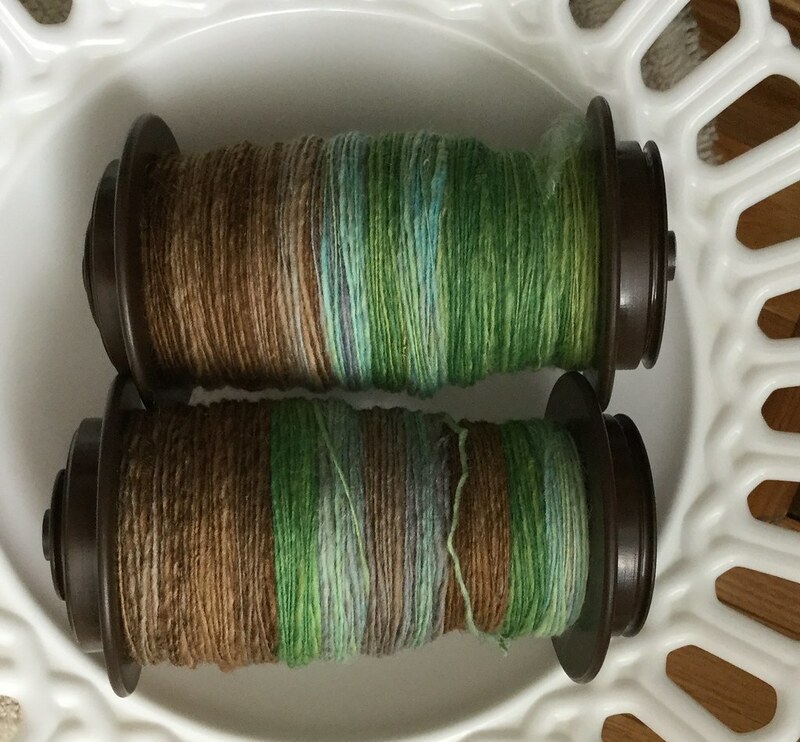 Into The Whirled Elevenses in the Shire Cheviot singles are awaiting plying. And this is Elevenses in the Shire after I plied it on my Schacht Matchless. 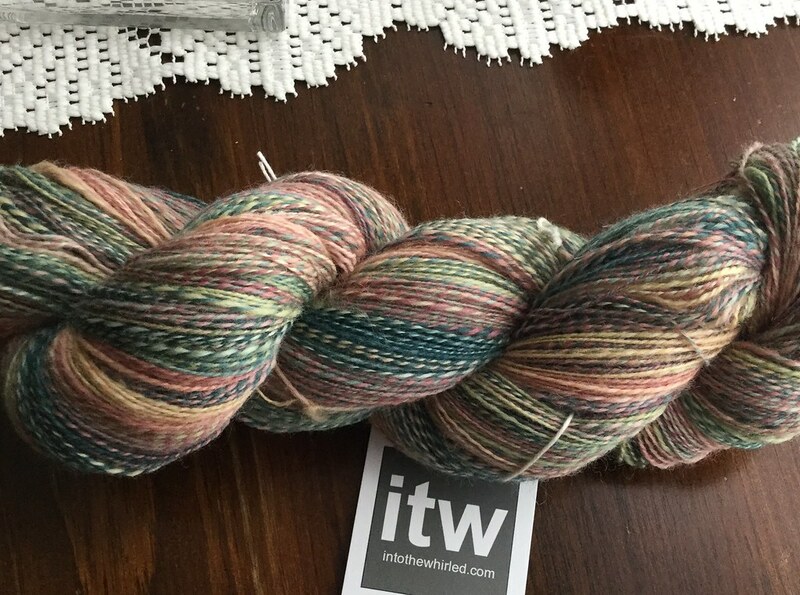 ITW North of the Wall 2-ply. 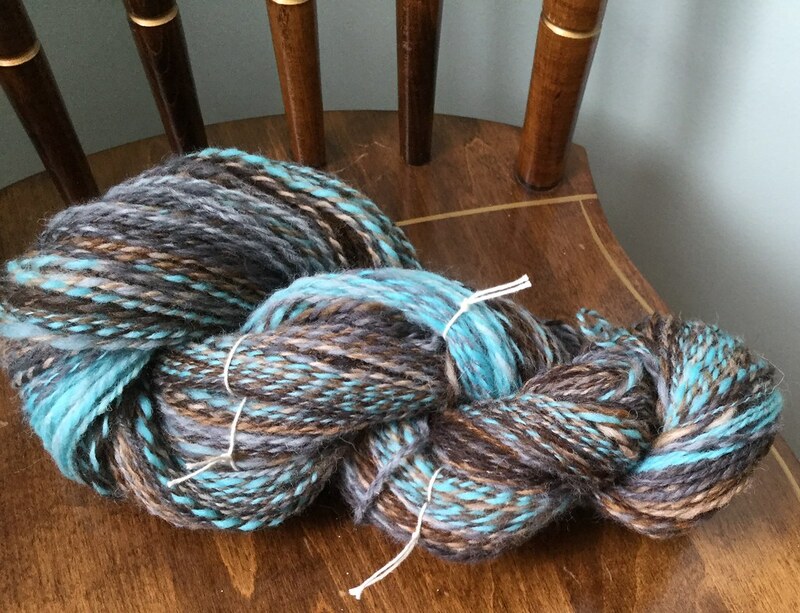 This is the fiber that I spun supported long draw to make a nice woolen-spun yarn. 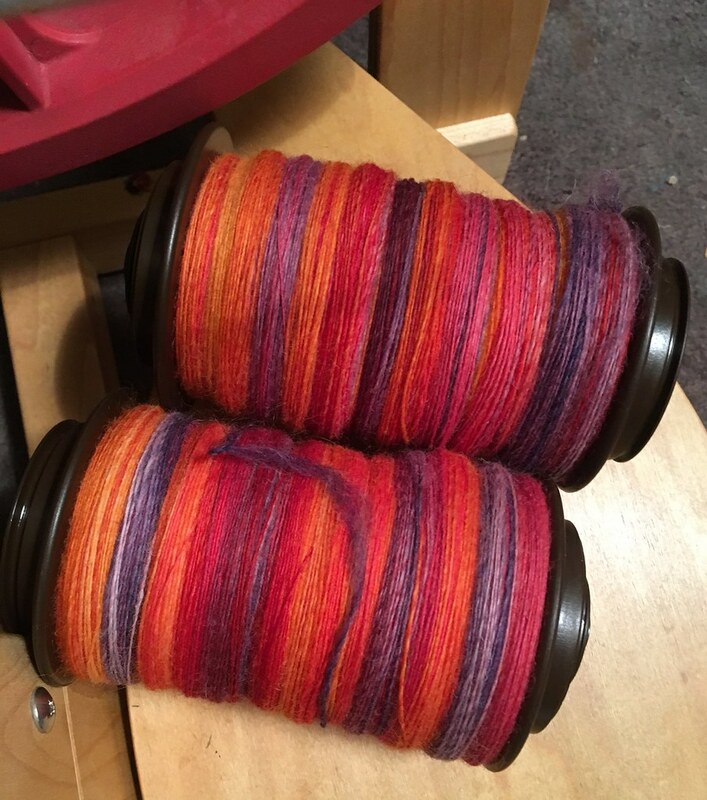 ITW Zephyr fractal 2-ply is all skeined up and ready to be washed. 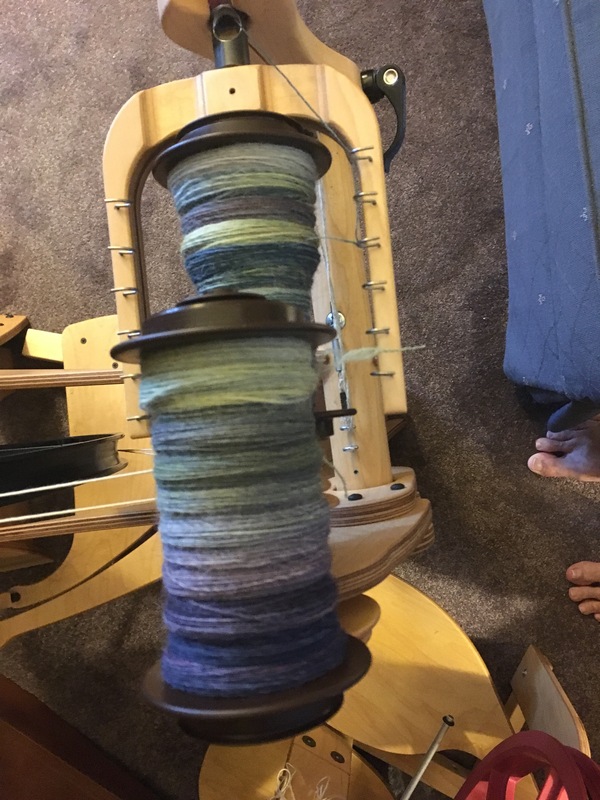 Today I plied the Yipes! Stripes! singles on my Ladybug. I got a lot of nice barber poling, just as I had hoped. 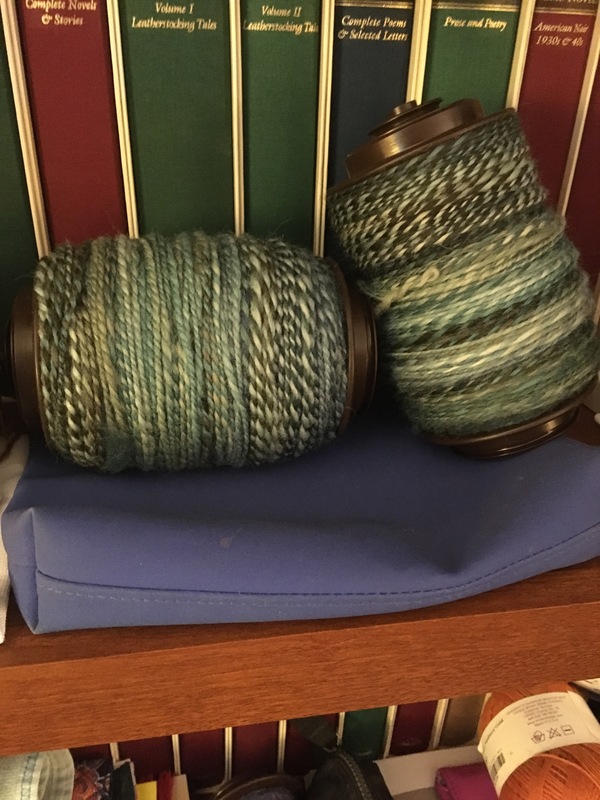 A nice 2-ply yarn. 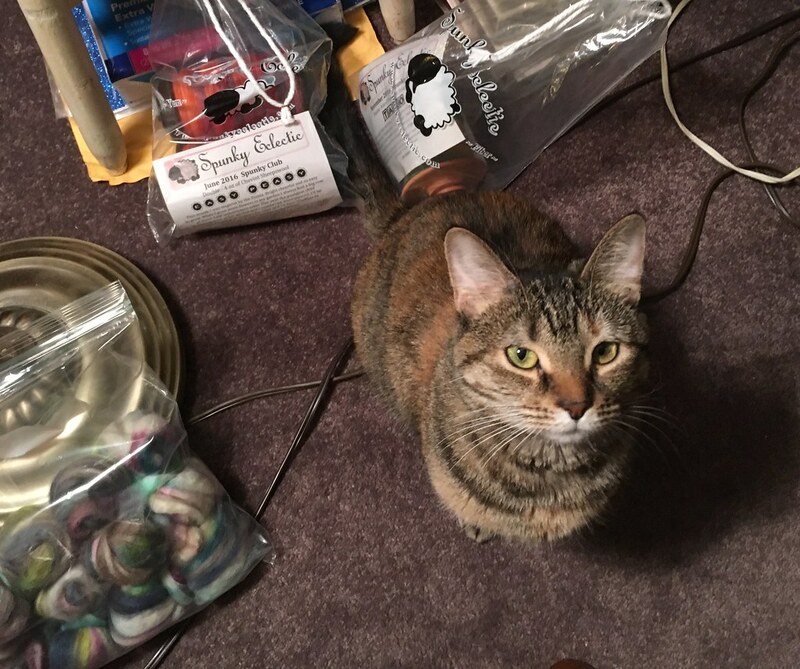 This will knit up pretty. 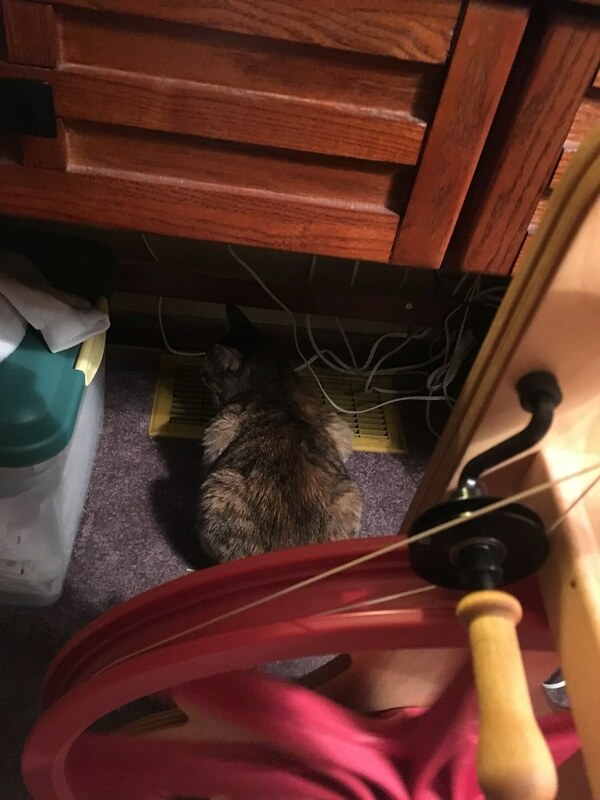 Maybe a hat or a cowl.